Just when you thought the ‘killer clown’ phase was finally over, a prankster quickly found himself regretting his effort to revive it. 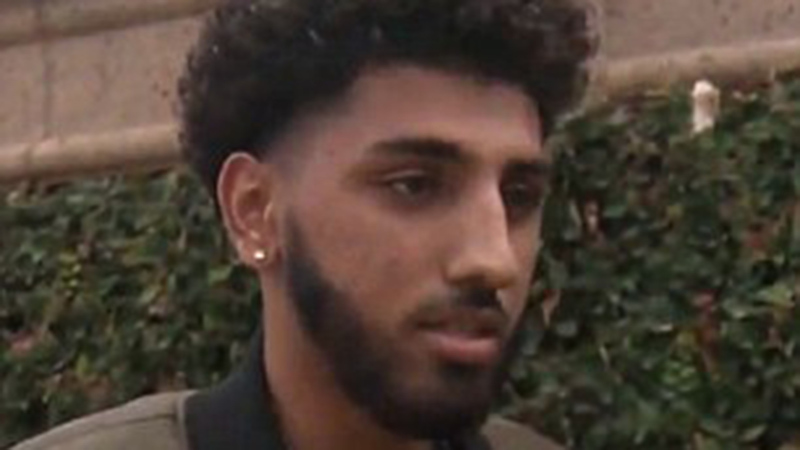 The popular YouTube prankster filmed himself preparing to jump from a bush in an attempt to scare a pedestrian, before everything went pear shaped. The footage was filmed in Stockton, California. His would be victim appeared underwhelmed by Sadiq Mohammad’s effort to scare him, and produced a hand gun from his pants and pistol-whipped the clown. "Why you gonna play that s**t in Stockton, brother?" the unimpressed pedestrian said. "I got something for you," he calmly said as he reached for his gun. Mr Mohammad’s cameraman quickly revealed himself, yelling, “it’s a prank” as the terrified clown cowered in the bushes. 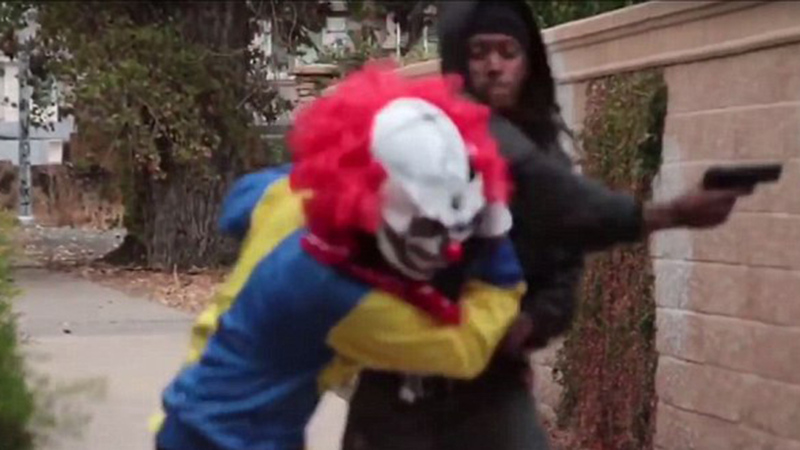 'Don't run b***h': The gun-wielding man smacked the clown across the face. 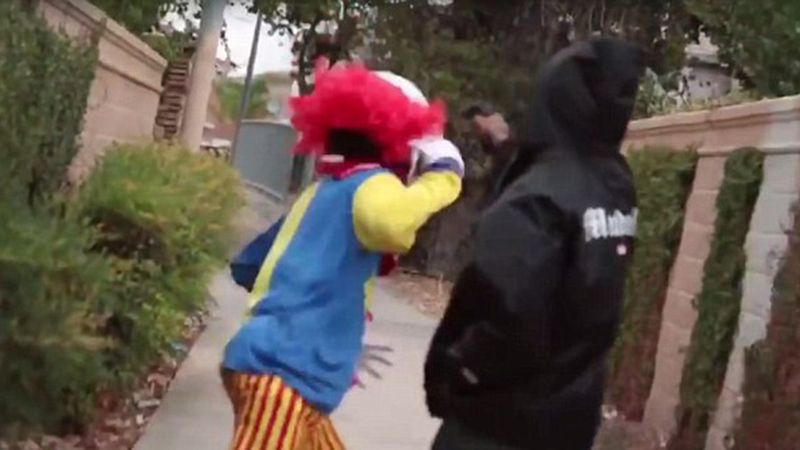 While some of Mr Mohammad’s prank videos have received nearly 7 million views, the social media star said he would hang up his clown costume for good. “Lesson learned is, people don’t play with the clown stuff," Mr Mohammad told local media.